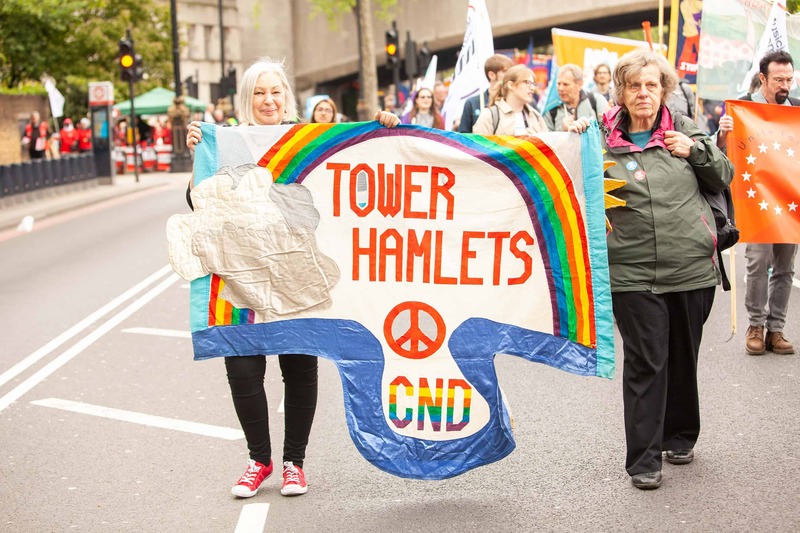 CND is a network of regional organisations, local groups and individual members, covering the whole of Britain. CND has a national office in London, regional offices in several major English cities, and independent Scottish CND, Irish CND and CND Cymru organisations. 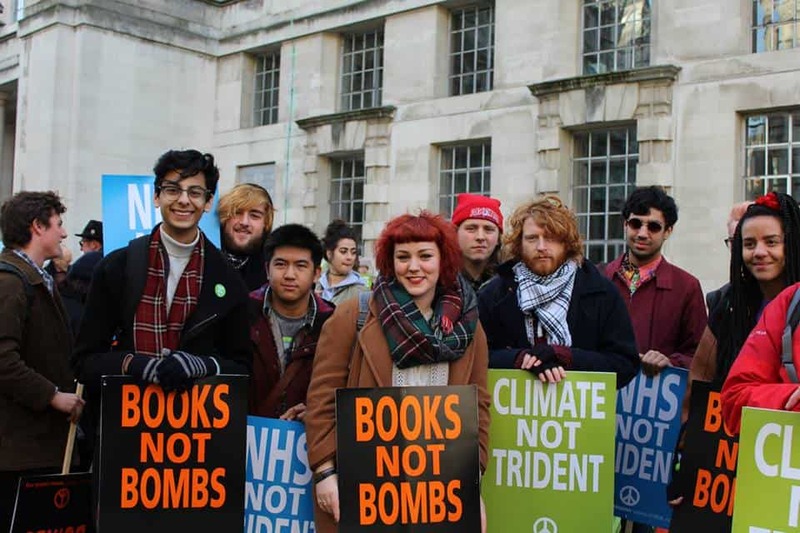 There are also specialist groups like Youth & Student CND, Christian CND, Labour CND, and Green CND. Different groups are free to concentrate on different aspects of the campaign, as well as joining in national events such as rallies. They also uncover details of local nuclear installations and nuclear traffic, both road and rail, in order to publicise and mount local protests against them. Regional and national workers, as well as looking after their own areas, often act as national co-coordinators for specific campaigning aspects, for example Yorkshire CND’s campaign against Missile ‘Defence’. At the CND Annual Conference delegates from local groups, regions and specialist sections, as well as individuals, elect a Chair, three Vice Chairs and a Treasurer (as well as electing ‘Directly Elected’ and ‘Regional’ CND Council members – see our Conference page for further info). Conference delegates then debate and decide on campaigning policies and priorities for the year ahead. CND is funded almost entirely by its members and supporters. Almost all CND’s income comes from membership subscriptions and through special appeals. 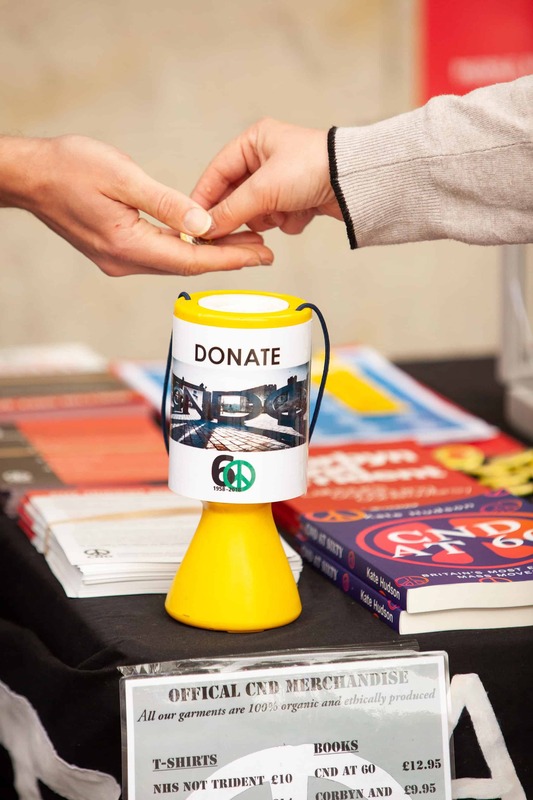 There are both national and local fundraising events: everything from street stalls to concerts and sponsored activities. As a matter of policy, CND never accepts money from any agency of any state that possesses nuclear weapons. CND is a member of the International Campaign to Abolish Nuclear Weapons (ICAN). ICAN is a global campaign coalition which brings together humanitarian, environmental, human rights, peace and development organizations in more than 90 countries. CND is part of Abolition 2000 – a global network to eliminate nuclear weapons. 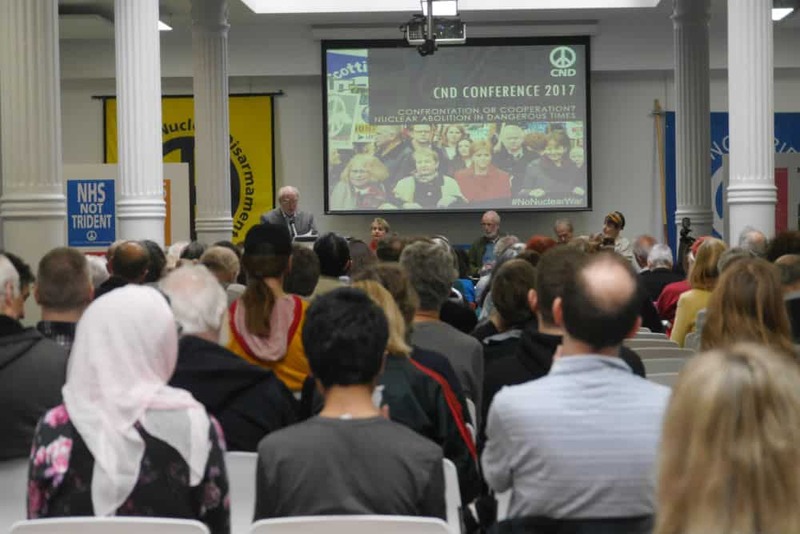 CND also supports and works with other campaigning organisations such as the Campaign Against Arms Trade (CAAT), the International Peace Bureau, as well as anti-nuclear weapons campaigns abroad, including in particular France, India, Pakistan and the United States.